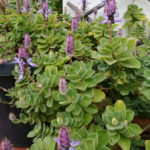 Plectranthus neochilus is a perennial, aromatic, succulent plant up to 20 inches (50 cm) tall and up to 2 feet (60 cm) wide. 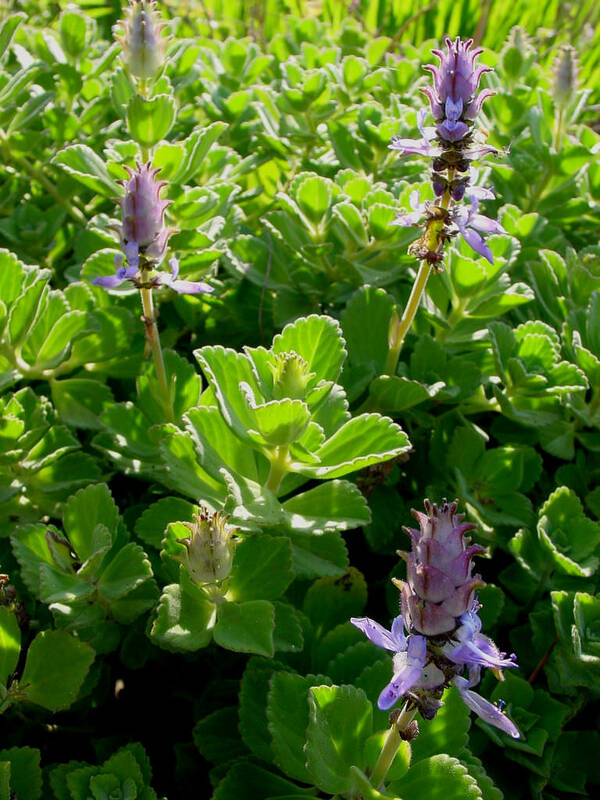 The deep blue and purple flowers are borne from spring through late fall. 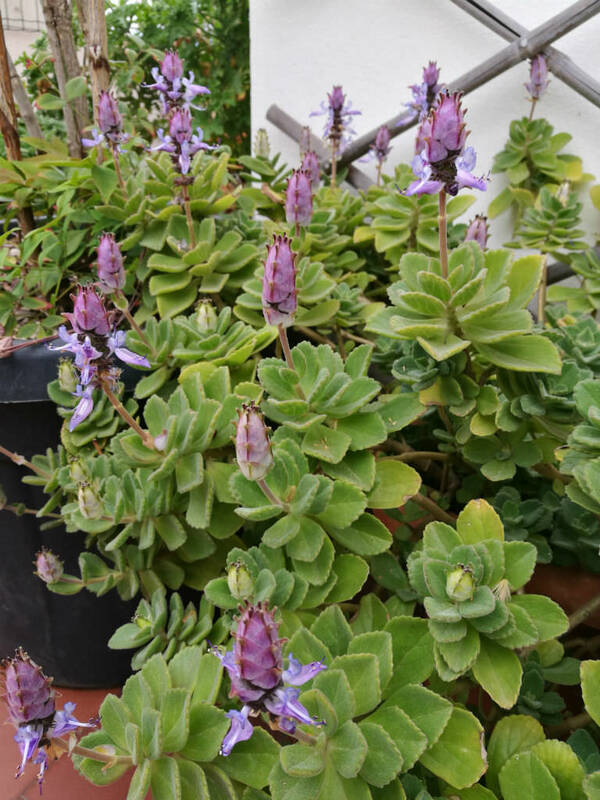 The leaves are succulent, grey-green and form an attractive ground cover even when the plant is not in flower. 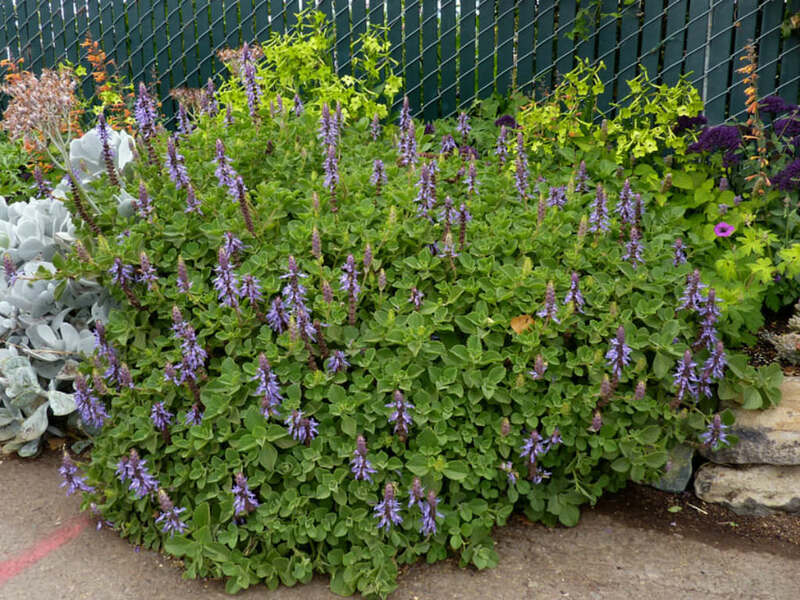 Plectranthus are easily cultivated and require little extra attention or special treatment. They enjoy well-composted soil and as rule thrive in semi shade or cool positions on south facing aspects. 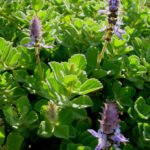 They are ideally suited to growth under the shade of trees. 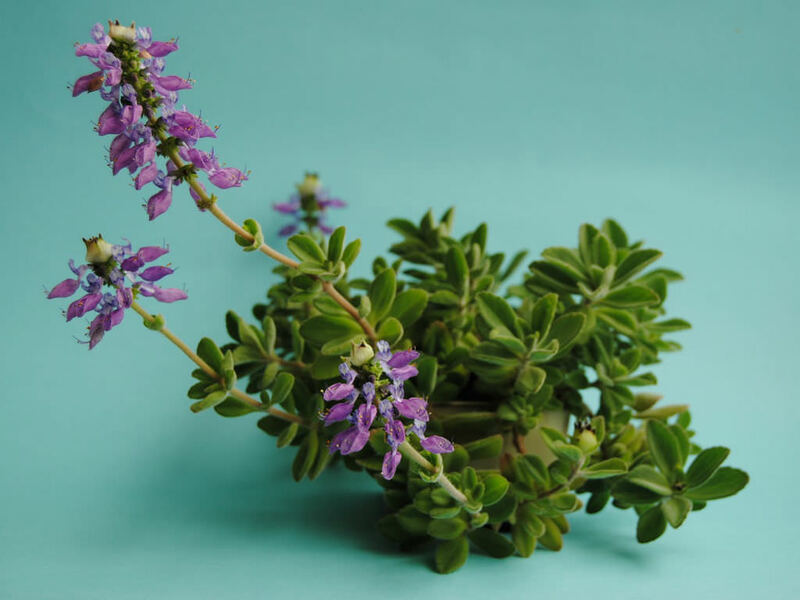 They are generally shallow rooted and enjoy adequate water but they do store water in their stems and are resistant to prolonged periods of drought. 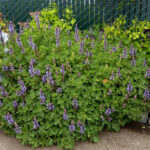 Plectranthus are often grown for their attractive foliage, flowers or both and vary in their growth forms from dense prostrate ground covers to sub-shrubs and large shrubs.